An investigator photographs the scene of a deadly crash near Crosby, Texas, on Dec. 16, 2018. 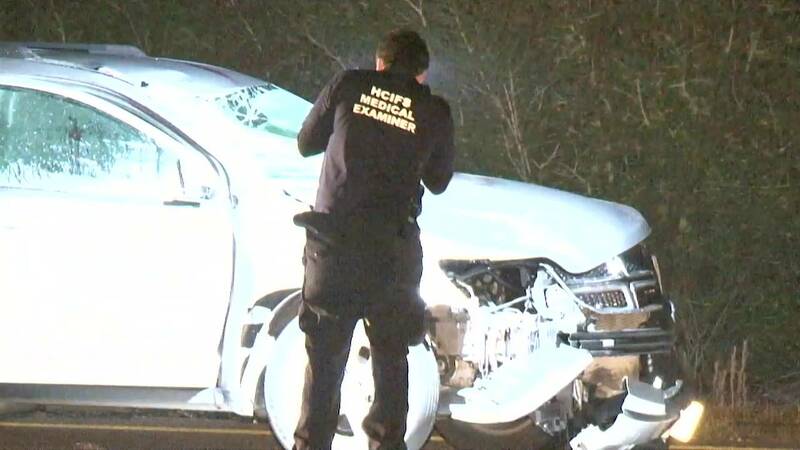 CROSBY, Texas - A man who was hit and killed by a vehicle Sunday while riding a horse on a highway in east Harris County has been identified. The crash was reported about 8 p.m. on Beaumont Highway at Lord Road. Harris County deputies said Richard Wright was trying to cross the highway on horseback when a vehicle hit him and the horse. Both Wright and his horse died at the scene. Investigators said the driver of the vehicle was traveling home from the hospital with her 2-day-old baby at the time of the crash. The baby suffered scrapes from broken glass, investigators said.